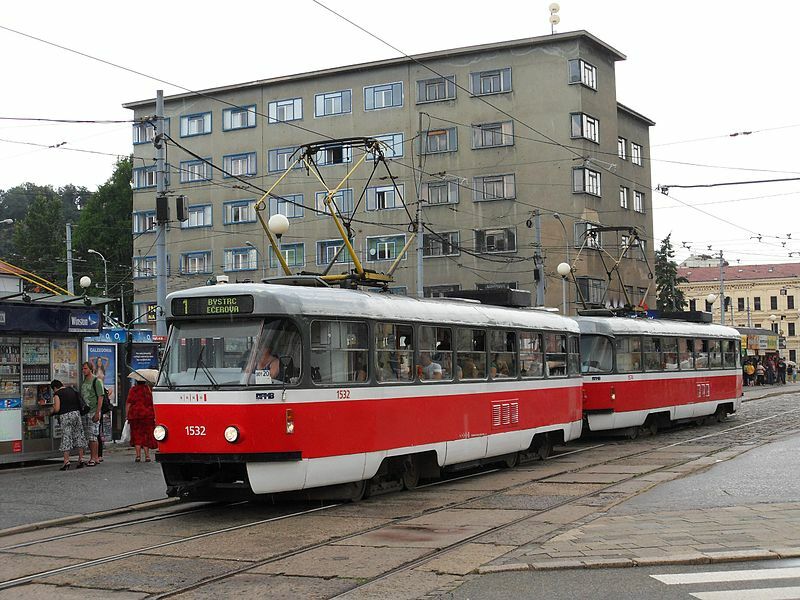 Suburban trams (Brno-Černovice–Lišeň): 16 July 1905 - (Steam: 16 July 1905 - 15 July 1943; Electric: 16 July 1943 - today). Since 3 June 1942, part of the city tram network. The Technické muzeum v Brně in Královo Pole has a collection of historic trams and offers heritage tram services over city tramway tracks. Linek, J. 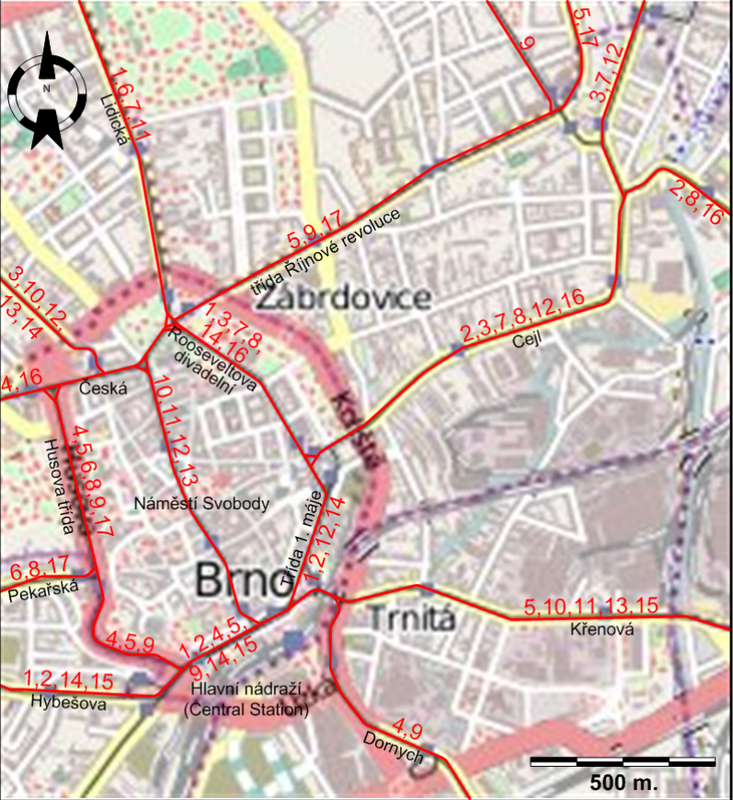 "Tramways of Czechoslovakia - Part 2: Brno, Opava, Teplice and Praha", Light Rail and Modern Tramway. Dec. 1992 (55: 660), p.311-317. 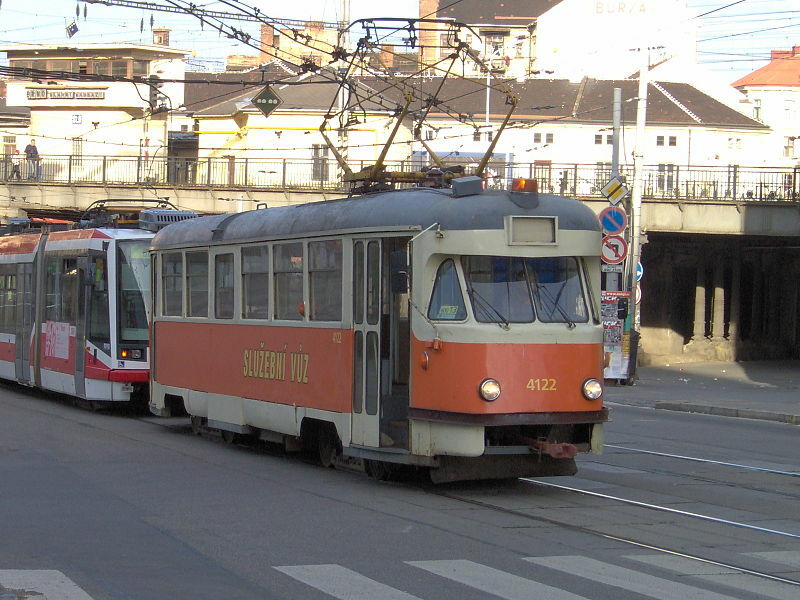 Pulling, N. "Systems Factfile No.53 - Brno, Czech Republic", Tramways and Urban Transit. Feb. 2012 (75: 890), p.61-64. Reznicek, L. "The tramways of Brno", Modern Tramway and Light Rail Review Apr. & June 1968 (31: 364 & 366), p.122-126, 199-206.